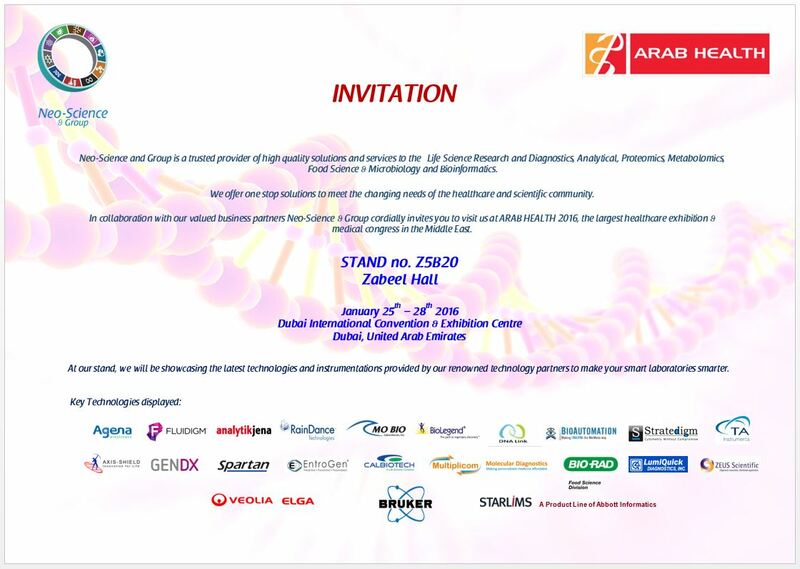 Qatar Scientific Company is a trusted provider of high quality tools and services to the Analytical Proteomics and Metabolomics Science, Life Science (Genomics) Research, Life Science Diagnostics & Informatics. 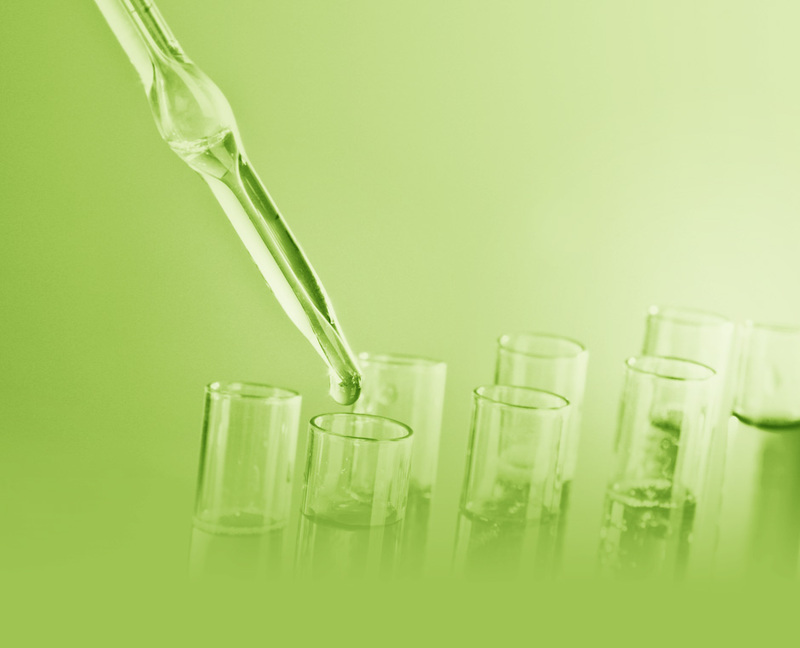 We offer one stop solutions to meet the changing needs of the clinical, scientific community. We are associated with renowned manufacturers who are globally recognized as market leaders in the industry. 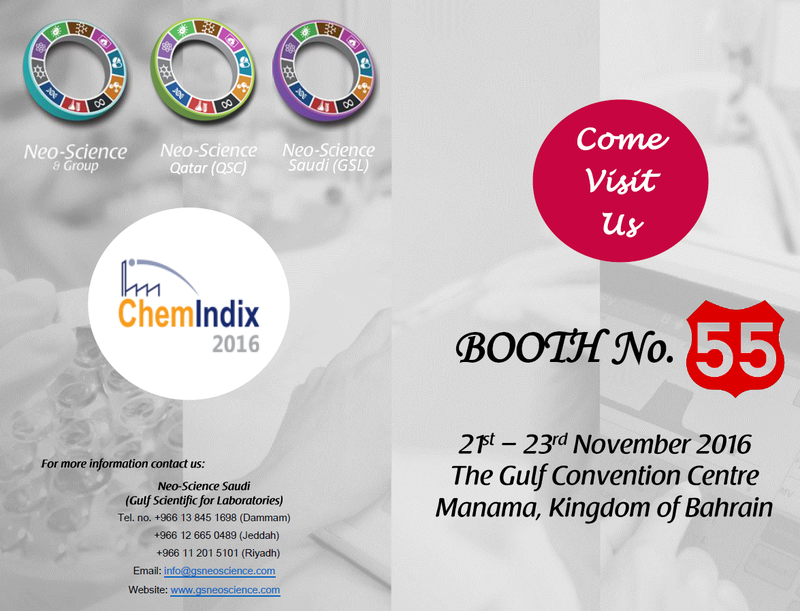 Qatar Scientific was incorporated in 2005 and since then has developed as a strong presence in Qatar and has acquired a solid reputation for delivering innovative products, integrated solutions and professional support across a broad range of sectors including: Life Science, Healthcare, Analytical and Informatics. 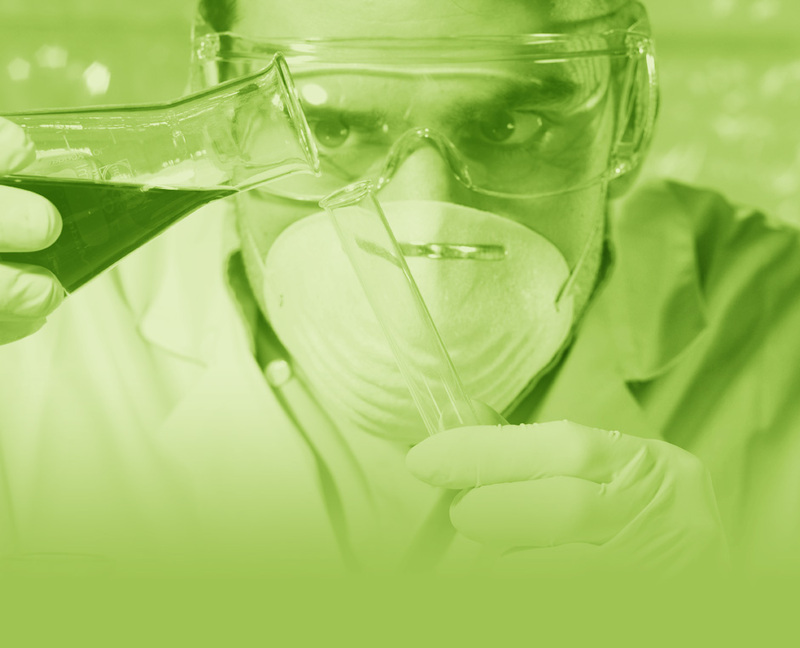 Qatar Scientific (QS) provides the highest quality after-sale services to meet our standards of excellence and cater for the needs of our clients. We are facilitated by Technical Support Team, Service Engineers and Administration Staff. QSC is committed to providing complete analytical solutions by understanding the requirements of our customers and offering a broad range of services, training and application support through a dedicated team of professionals. We now employ more than 30 highly qualified professionals. Our collaborative approach has enabled us to build a strong support network of distinguished service application and support. Neoscience Saudi (GSL) has been awarded best presenter in Aramco Lab Technical Exchange Event. TECHNIDATA strengthens its presence in the Middle East and announces the signature of a distribution agreement with Neo-Science & Group. 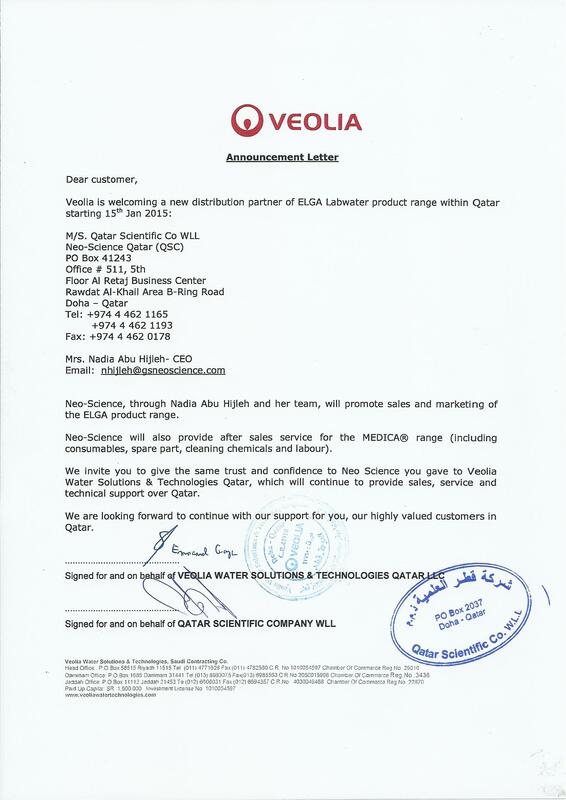 Veolia is welcoming a new distribution Partner of ELGA Labwater product range within the Kingdom of Qatar starting 15th Jan 2015. 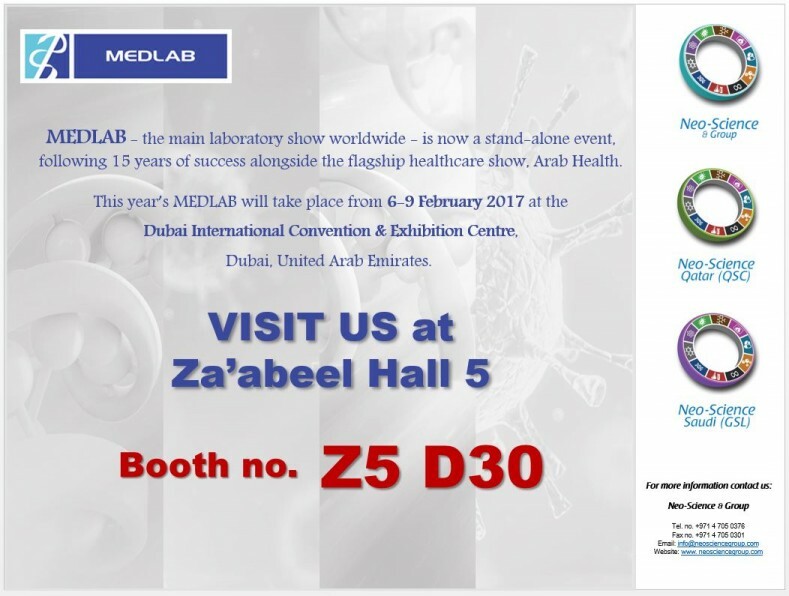 Neo-Science will also provide after saes service for the MEDICA® range (including consumables, spare part, cleaning chemicals and labour). 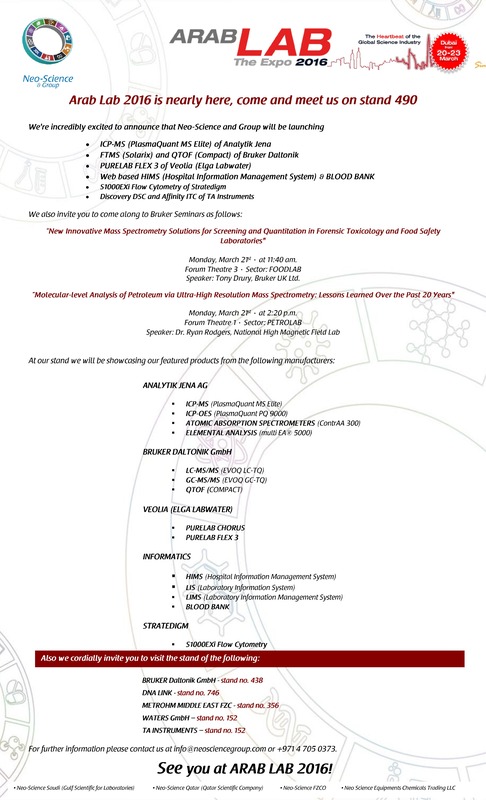 Gulf Scientific for Laboratories (GSL) on Tuesday, 27th May 2014 at Ohud Hall, Movenpick Hotel, Jeddah - Kingdom of Saudi Arabia. Qatar Scientific Company (QSC) Thursday, 29th May 2014 at Oryx Rotana Hotel, Doha - Qatar.